This simple board provides simple repeater control and outputs morse code audio identification for FM repeaters. at the end of the preset time (nominally 10 minutes). Does not include a timeout function. This will need to be done in the transmitter programming. Remote control/disable not available in this controller. FSK output for beacons or other transmitters that require CMOS/TTL level input or just audio. Easily interfaces with radio equipment. Use it for a foxhunt event to key up a hidden hand held transmitter and identify. 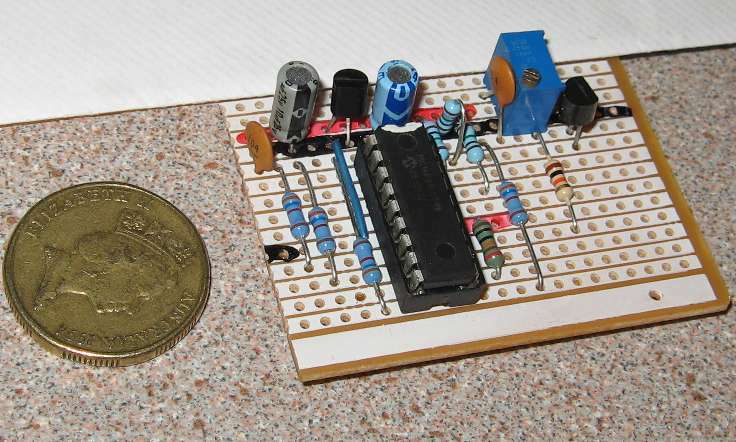 Pic Microchip based circuit, with stable internal crystal oscillator. Suitable for repeater or beacon morse code identification. Generates morse code audio at approximately 12wpm and 2kHz tone. Supplied pre-programmed with your desired message and time delay. Can be used with either positive or negative edge triggering to suit your requirements. Can run in beacon mode, where ident repeats automatically after the set time delay expires. 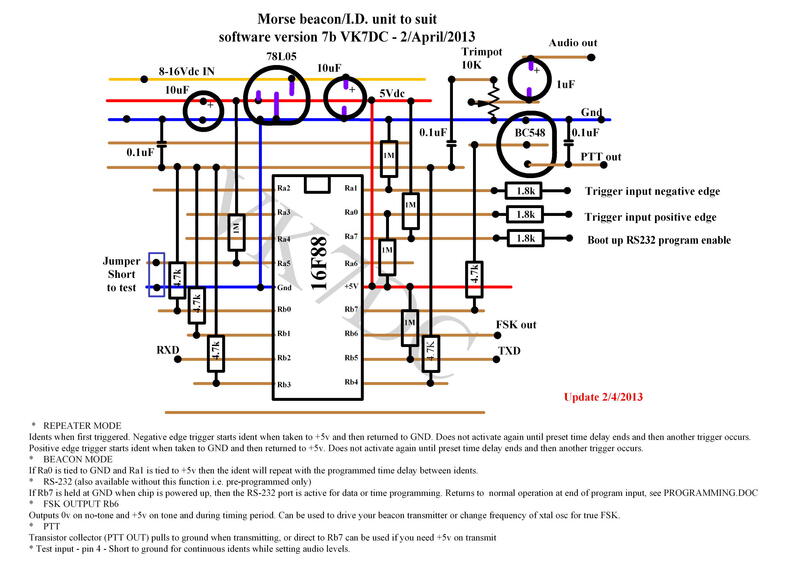 true FSK by modulating a crystal/PLL or similar inside the beacon radio. The PTT output turns on while the ident is occuring. Can be used as a fox hunt auto key-up and ID for a hidden 2m/70cm transmitter.